You may wonder why, when I’m a coach and mentor, that I would be blogging about the environment? Good question! Outside of the thing that I love doing for a job – which is helping people to reach their true potential I also love sailing. This brings me closer to the Oceans – the very thing that differentiates this planet from all other known planets. The success of the company allows me to pursue other interests, which in turn actually helps me with my business. That other interest is in supporting one of the 17 United Nations Sustainable Global Development Goals. That is No 14 which is Life Below Water. So what has going plastic free got to do with the Oceans and life below water? Sadly much of the plastic waste that is created ends up in our seas and affects the wildlife and ecology. In short we are choking and poisoning the very thing that differentiates this planet from any other. My view is that we need to take positive action to reverse this alarming trend. Now I’m far from perfect, we all lead hectic lives and even noticing the plastic that we discard each day goes unnoticed. There is just so much of it and some of it is really useful. Let’s not loose sight of the fact that plastic is valuable – if used correctly not as a “use once then discard” item. With all this in mind I am starting to make some small changes and would like to encourage you to do the same. I have looked at my day and starting at the first thing I do, looked at what I can do differently. The first thing is brushing my teeth. So what could I do to change what I currently do? 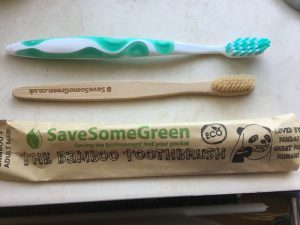 I researched and found that you can get Natural Bamboo Toothbrushes! Here is my very first bamboo toothbrush! As you can see this comes packed in a paper sleeve so even the packaging is better. You can get your own Bamboo Toothbrush here. So this is just a small start but if enough people start to make small changes we can make a world of difference. Interestingly, I also looked in to the toothpaste that I use, which is a natural fluoride free variety but it comes in a plastic tube. I contacted the company that makes it and got a very encouraging response. Changes are happening and you can affect this change for the better. 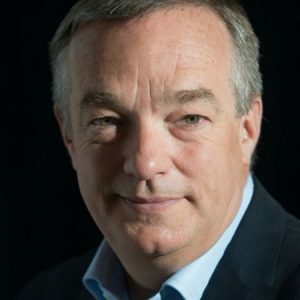 So how about joining me in looking for suitable alternatives to everyday disposable plastic items and lets make a difference to this beautiful planet and its Oceans. July is a great place to start as it’s #GoPlasticFree month.